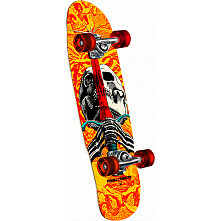 The Powell-Peralta Classic Sidewalk Surfer is a modern day recreation of the skateboard shapes popular in the mid 1970s, built with modern, high performance materials and components. 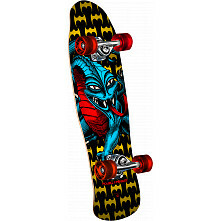 This makes it a perfect skateboard for a beginner, a student, or even mom and dad. The Sidewalk Surfer turns easily and fast. 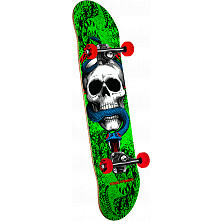 The wheels roll really far with each push and look great, making the skateboard fun to ride and efficient as a transportation tool. 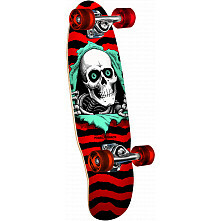 We build this deck with lots of love and know you will enjoy it, because it is a top quality product created by Powell-Peralta in California and built for years of enjoyment.